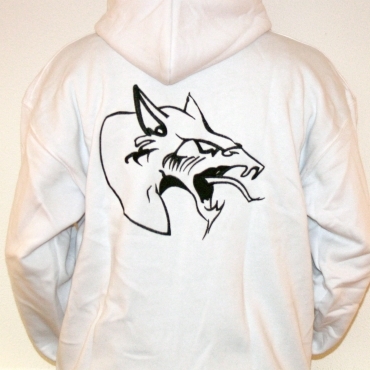 A white Neophyte hooded stitched with a big logo on the back. These hoodeds are very big in Size!!! So if you want a L size please choose a M size. Just one size smaller than usual.